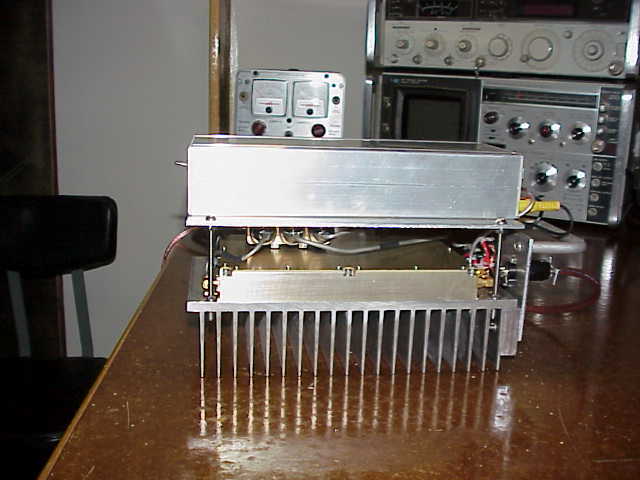 This box used 2C42's in both the transmitter and receiver. 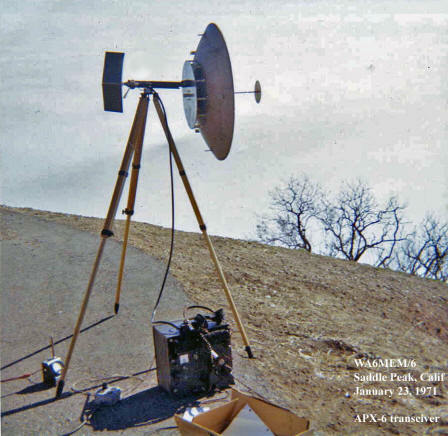 Back before good surplus microwave equipment became available, we used to operate on 10 and 24 GHz using M/A-COM gunplexer transceivers. This was another contest in 1997. 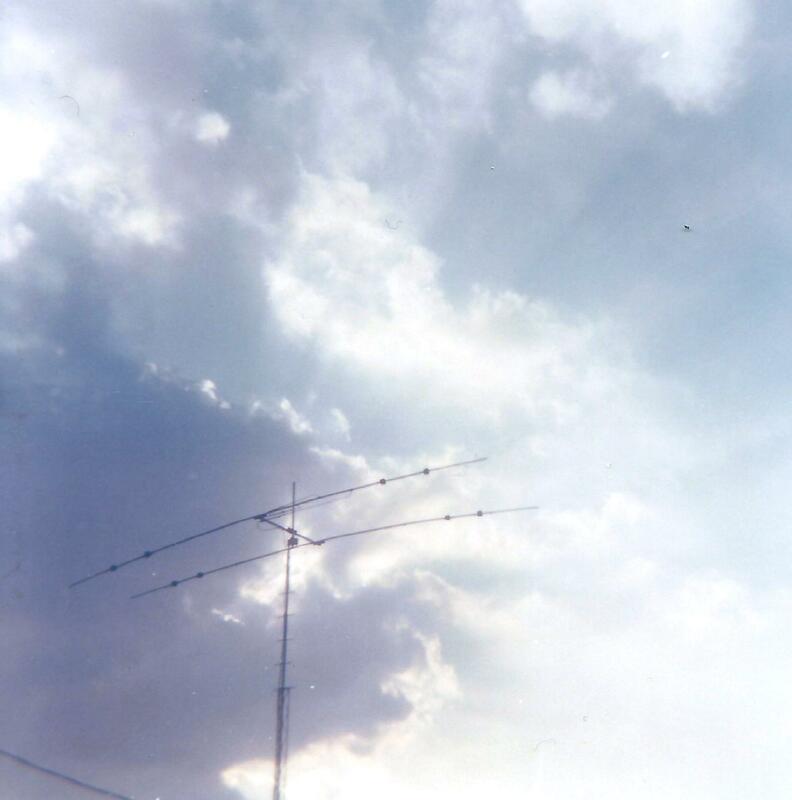 A Hallicrafter HT 40 transmitter, Heathkit HR20 receiver, and a Mosley two element tri-bander at thirty feet. I built the tower as a high school metal shop project. As time progressed I added more to the tower. 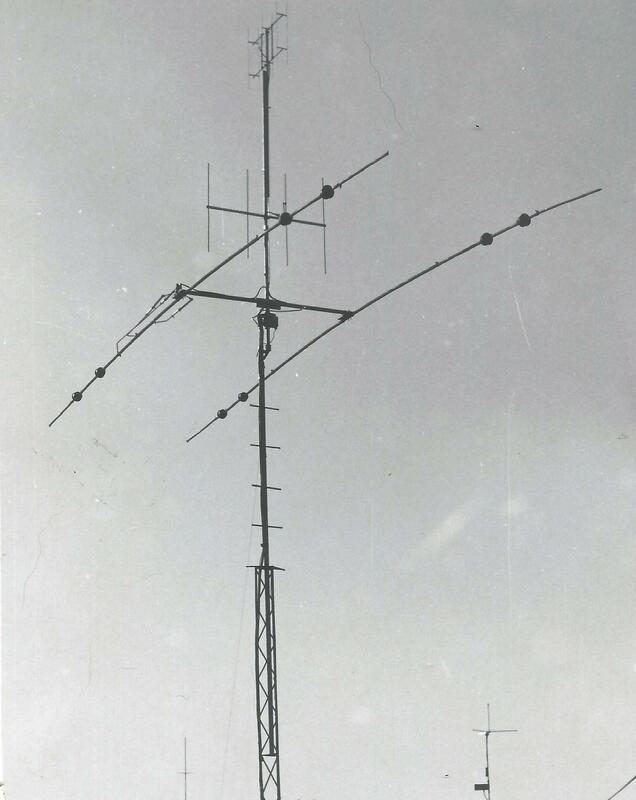 The left picture from 1967 shows the addition of a two meter yagi and a 450MHz collinear array for ATV reception. 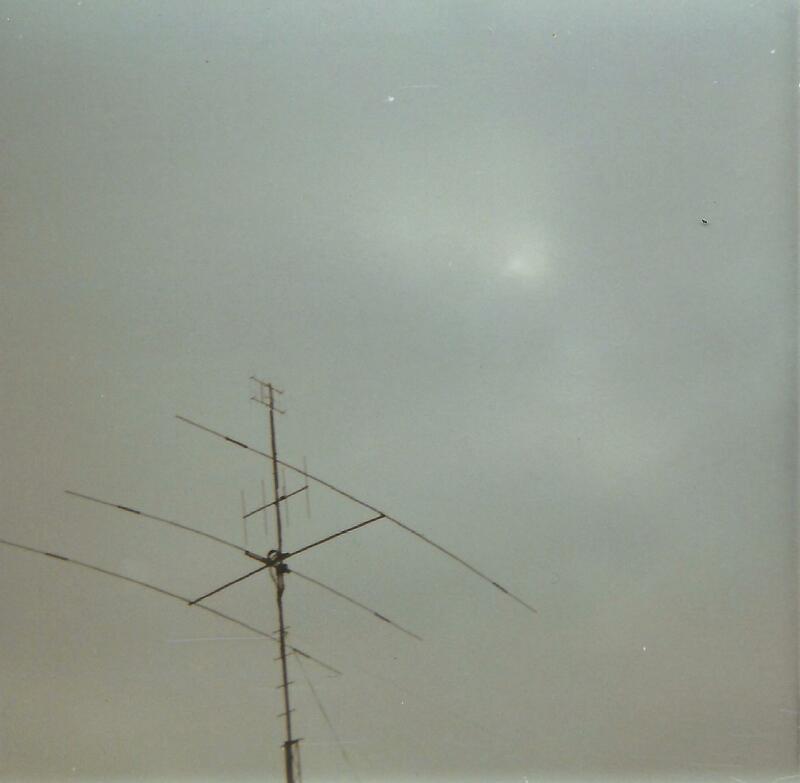 You can also see a two meter ground plane and 1240 MHz corner reflector on the bottom right. I got lucky and traded some of my old equipment for a Mosley three element tri-bander. By late 1968 I had my general ticket and a new call, WA6MEM. The station continued to improve. 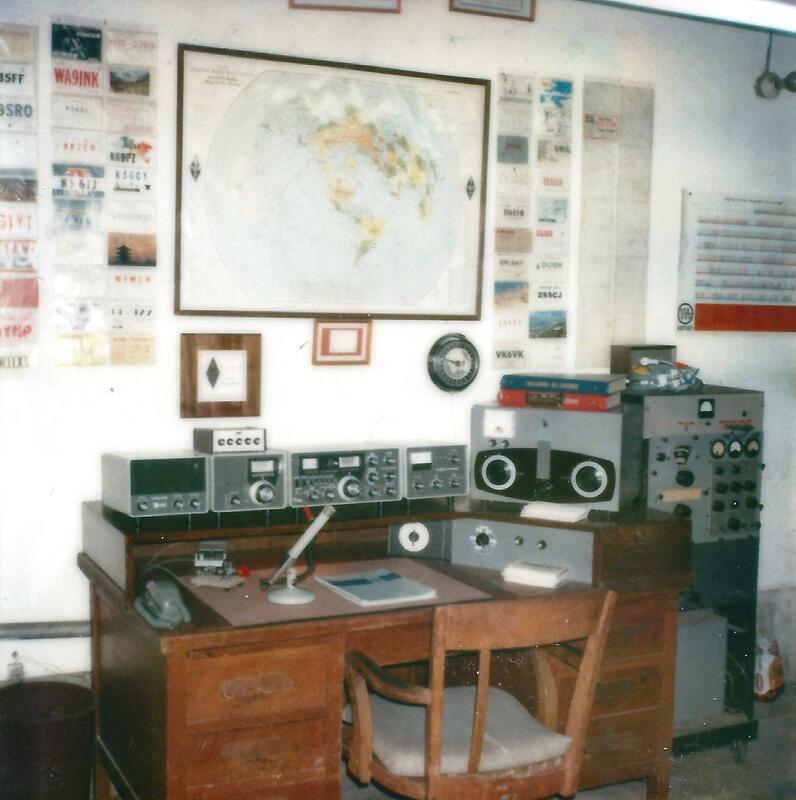 By 1970 I had acquired a Hallicrafter HT37 and a Hammarlund HQ170. 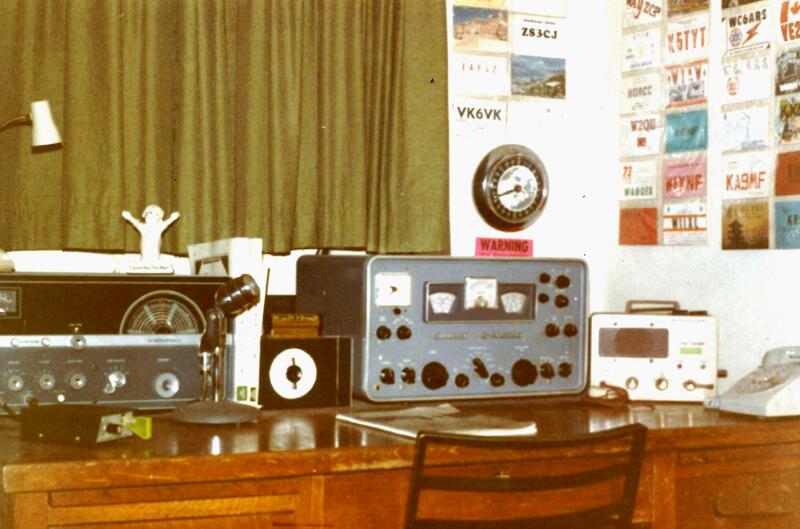 My trusty Heathkit "Twoer" was always listening to the K6MYK AM repeater. In 1972 I was hired by TRW Semiconductors where I began my career working on high powered RF semiconductors. In 1974 I married my wife, Mary and moved to an apartment just down the street from work. 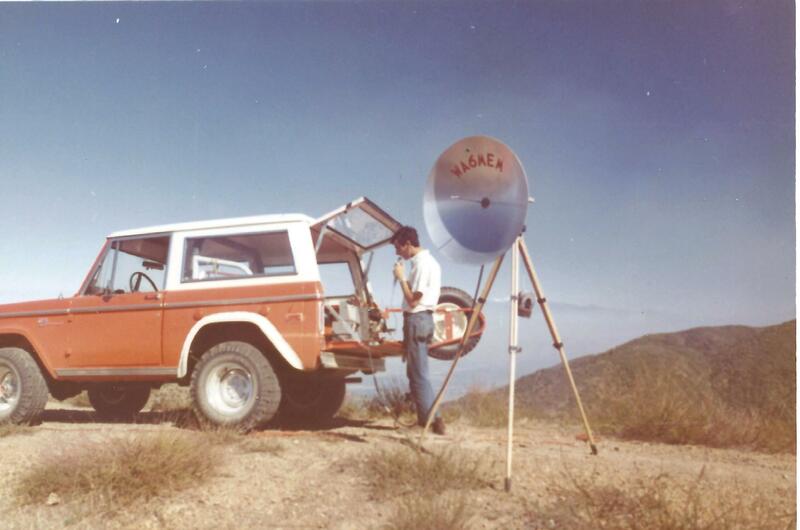 Not much room for ham radio. In 1976 we bought our first home in Redondo Beach, California. Finally a place to build a new station. 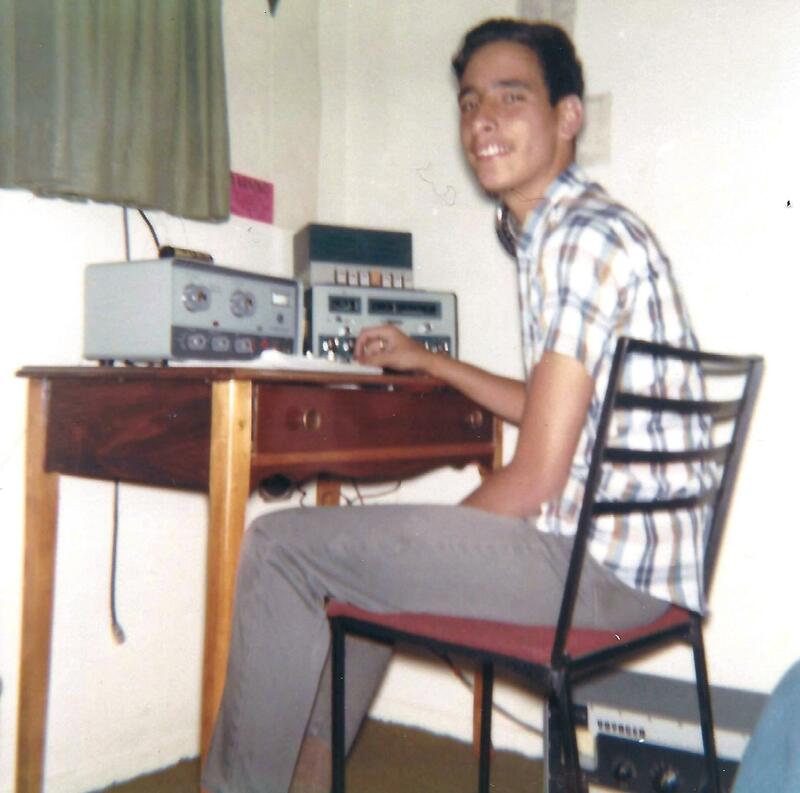 In 1976 I was using a Heathkit transceiver and two meter transverter for SSB and CW. Also in the left photo is a brand new Yaesu FT101EX. 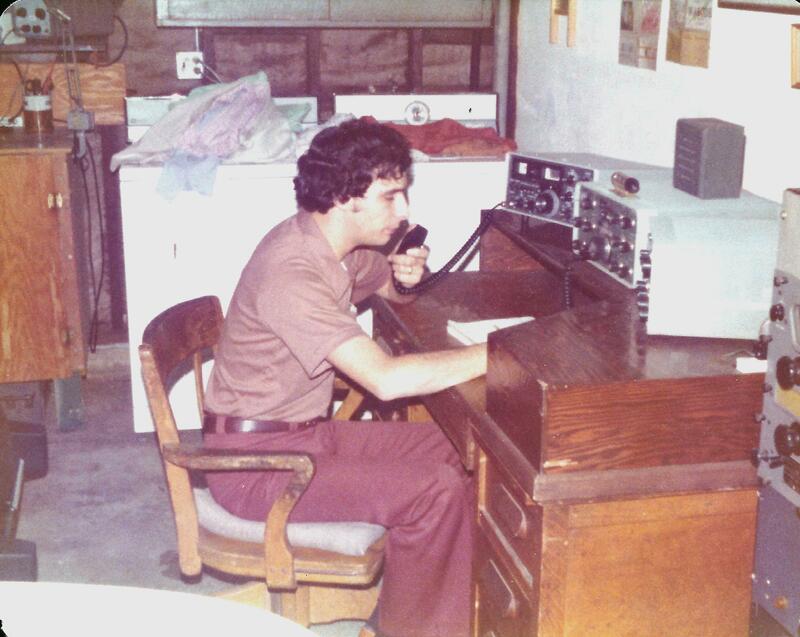 By 1978 I had purchased the full Yaesu FT101 line and a Johnson KW matchbox. This was a great station. 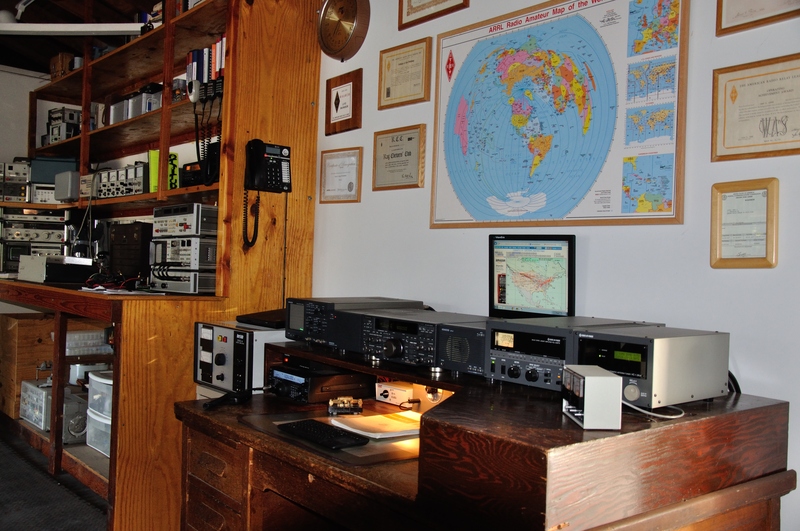 Also in the right photo you can see my old RBC Navy receiver. In 1987 we moved from our first home in Redondo Beach to a great neighborhood in Palos Verdes. The station grew as did the work bench and test equipment inventory giving me more room and tools to build equipment. After nearly fifteen years, I replaced the Kenwood TS870. It was a great radio! In October of 2015 I purchased the full "K Line" from Elecraft as a retirement gift to myself. The K3s , P3, KPA500. KAT500, and two SP3 speakers work great and I expect years of service plenty of DX! During the summer of 2016 Mary decided the shack need an upgrade. A new desk was installed, replacing the 100 year old desk (really! ), providing much more room for additional equipment. New storage cabinets were installed along with a spot for my drill press and tool chest. This cleared more room on the bench for working on larger projects. I look the same, albeit, a bit older.